We check over 450 stores daily and we last saw this product for $44 at Jaeger. 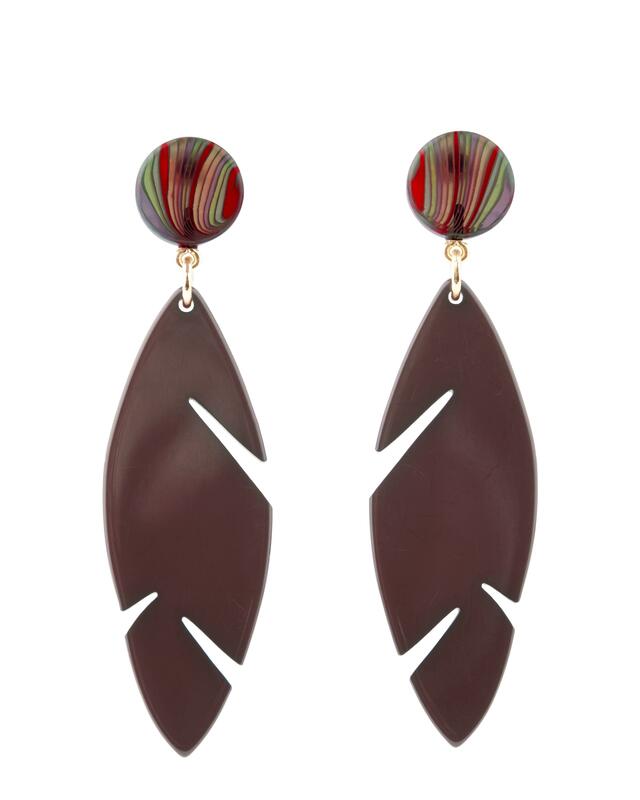 Inspired by the interesting and intriguing shapes seen around in Miami's foliage, our Heidi cheeseplant earrings are the perfect accessory for your summer wardrobe. 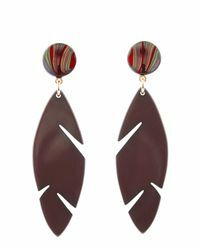 In a burgundy hue, this pair are completed with an iridescent bead at the top. Please note, this earring style is for pierced ears. Care instructions. Italian Resin.